Generally, mopeds are humdrum transportation appliances that are most comfortable on sealed surfaces. And for most riders, that’s perfectly okay. But what about riders who want to do more than just commute on or near the hard shoulder on a combination of gas and pedal power? 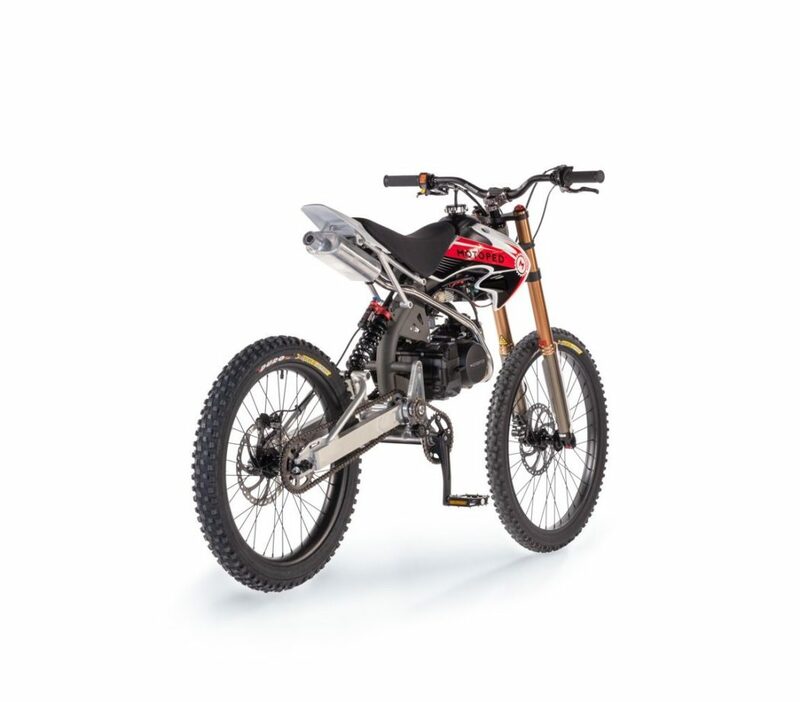 For those people, there’s an exciting gizmo called the Motoped Pro. 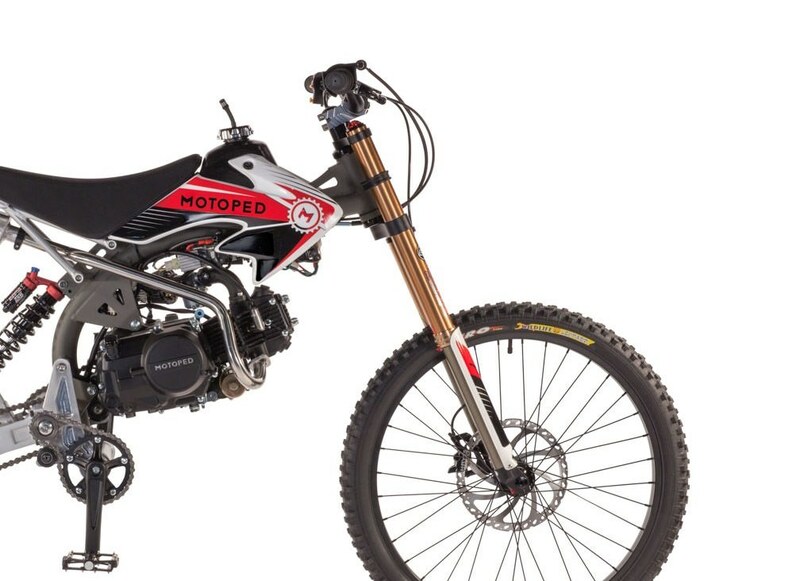 Looking much like the eventual result of a one-night stand between a motocross bike and an unpowered mountain bike, the Motoped Pro – made by Kansas City based Motovox – is a slim and trim looking machine that weighs about 120 lbs. 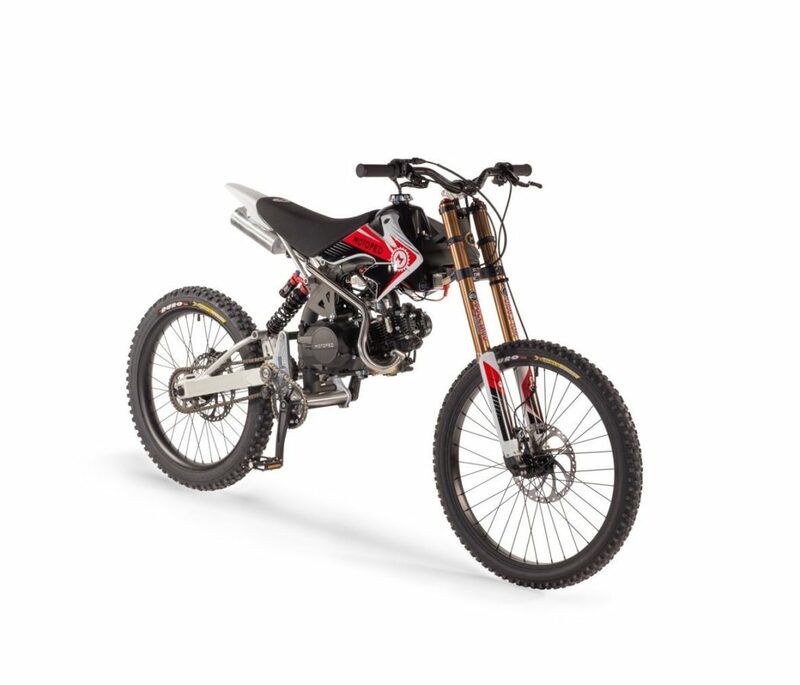 when fitted with the standard 49cc, 2 horsepower(!) 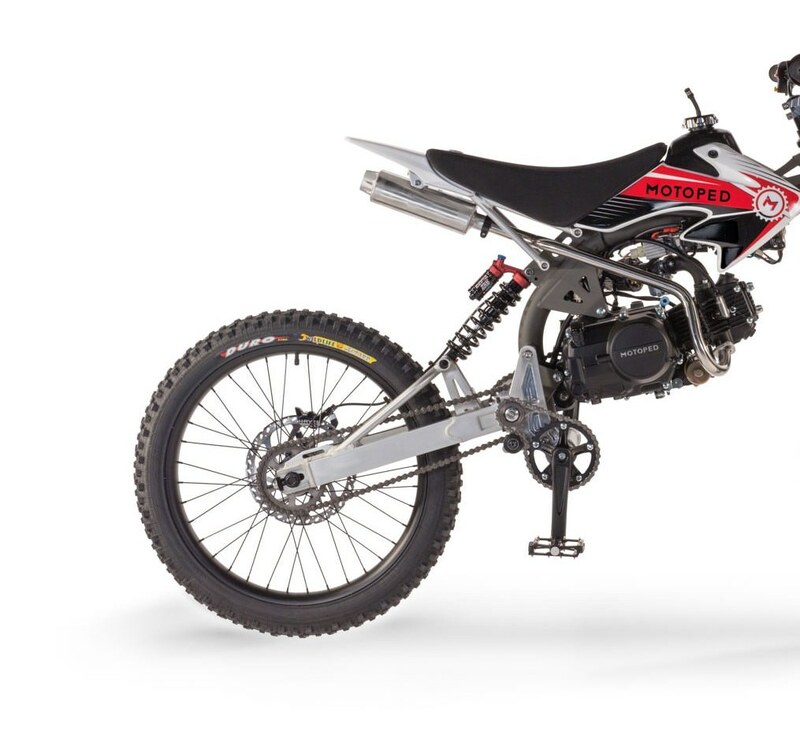 engine that allows it to fit the legal definition of a moped in many U.S. states and foreign countries; the little powerhouse is paired with a 2-stage automatic transmission. 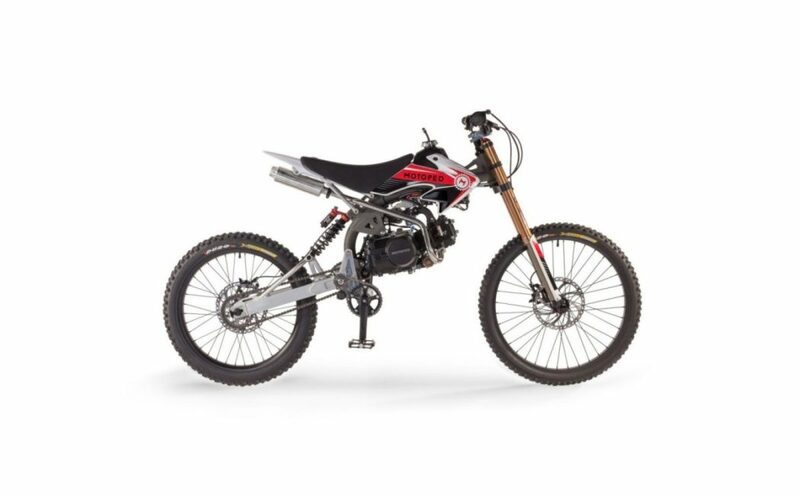 However, if meeting the looser licensing and registration criteria afforded to mopeds and other motorized bicycles is of no concern to you, you can step up for a 125cc engine that’s rated at a positively raging 7.78 horsepower and teamed with a 4-speed semi automatic transmission that allows it to reach 45 mph.